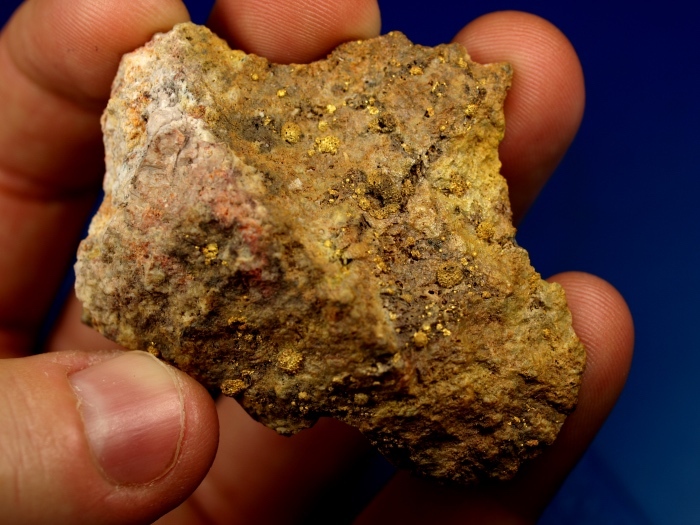 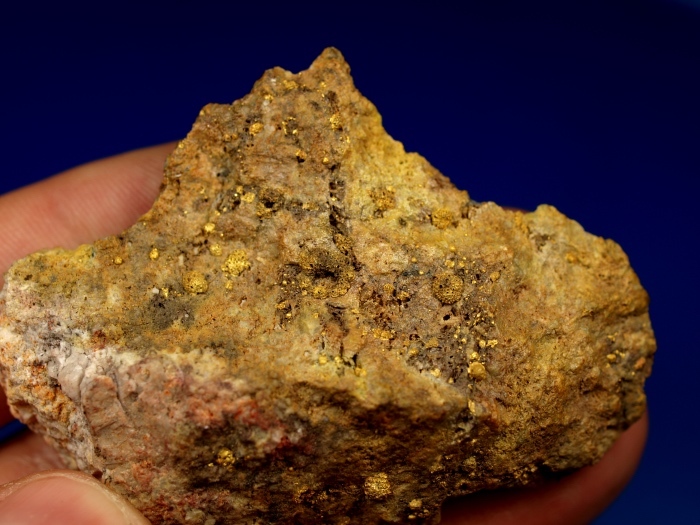 A piece of roasted gold ore from Cripple Creek, Colorado. 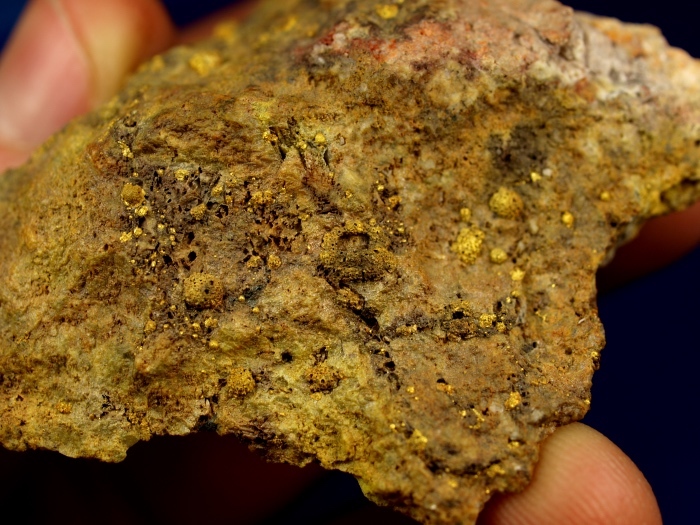 You will notice that the gold is formed into an almost bubbly showing on the surface. 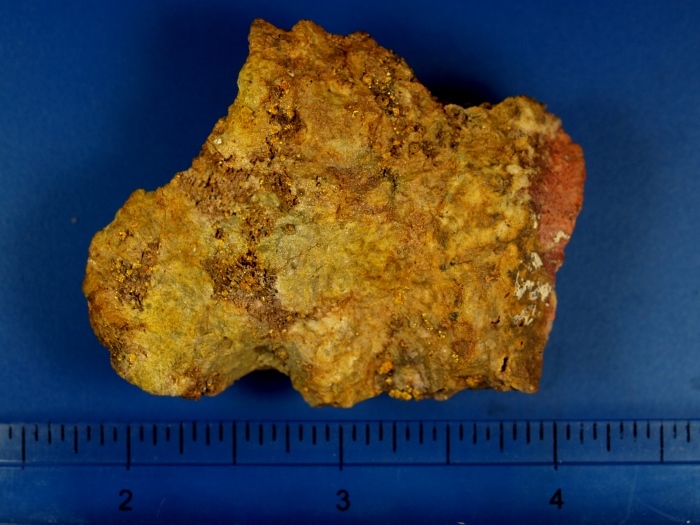 This was a result of a roasting process that was commonly used in this part of Colorado to process the telluride-rich ores from the mines. 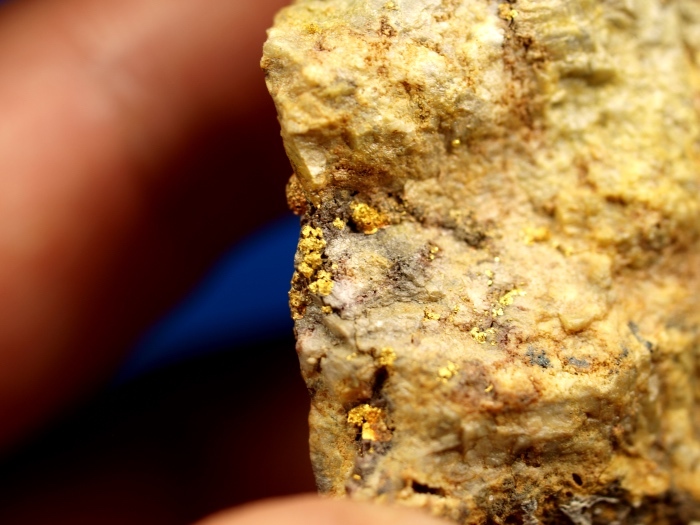 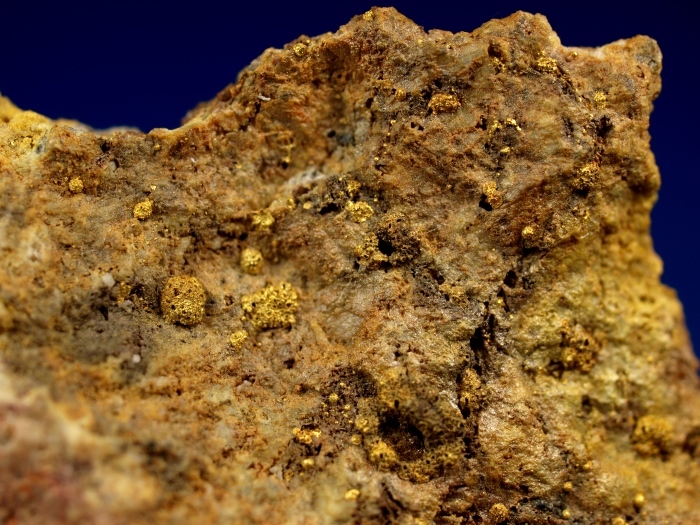 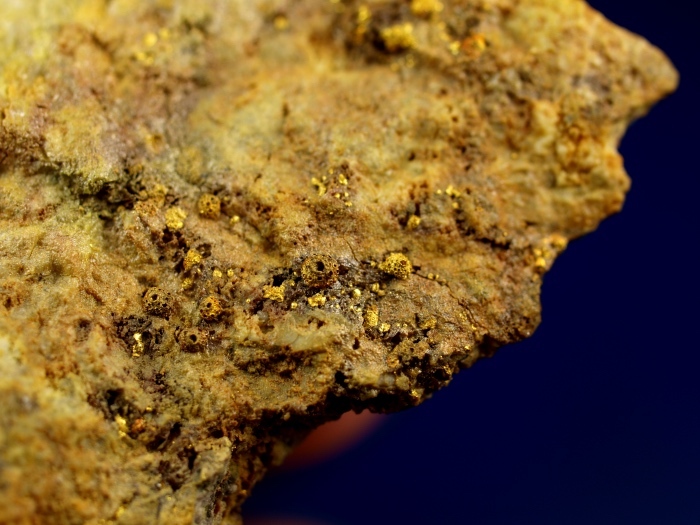 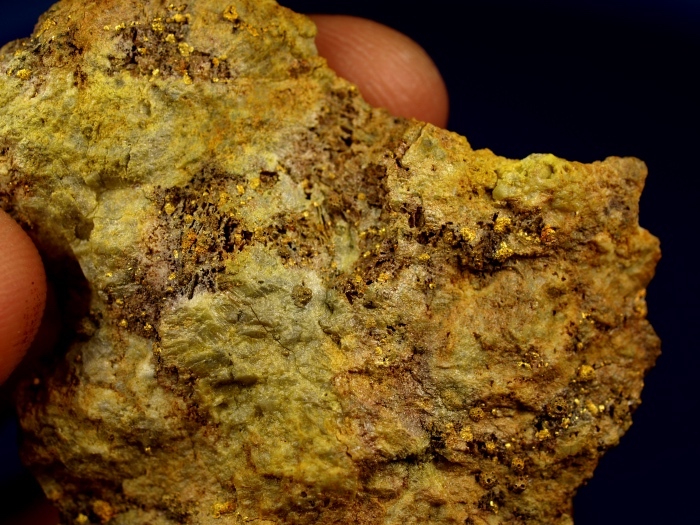 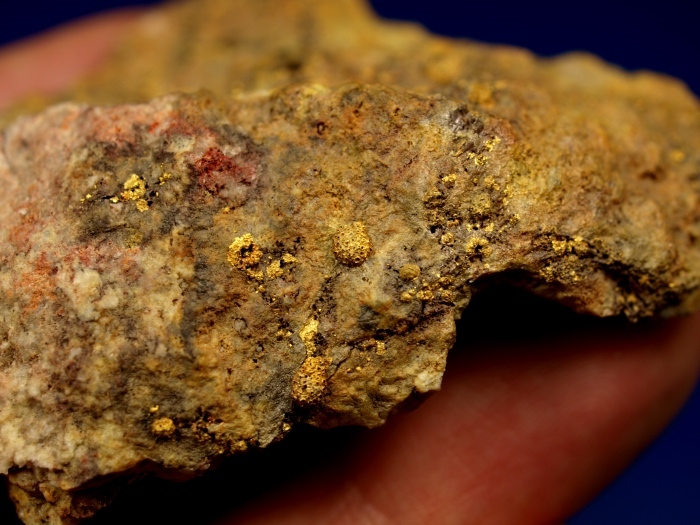 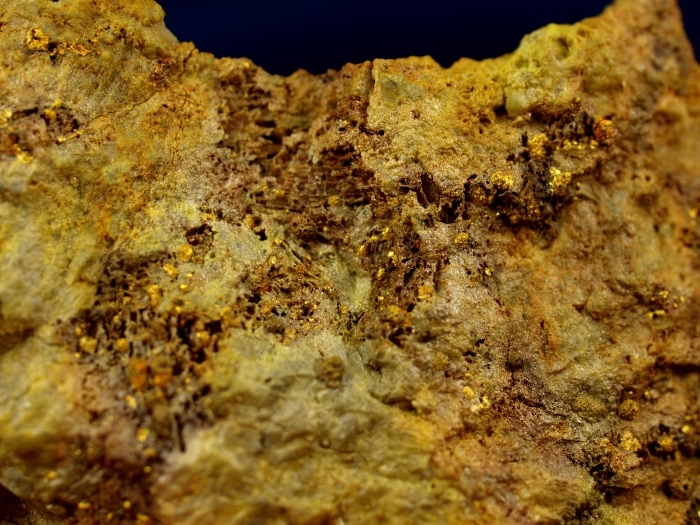 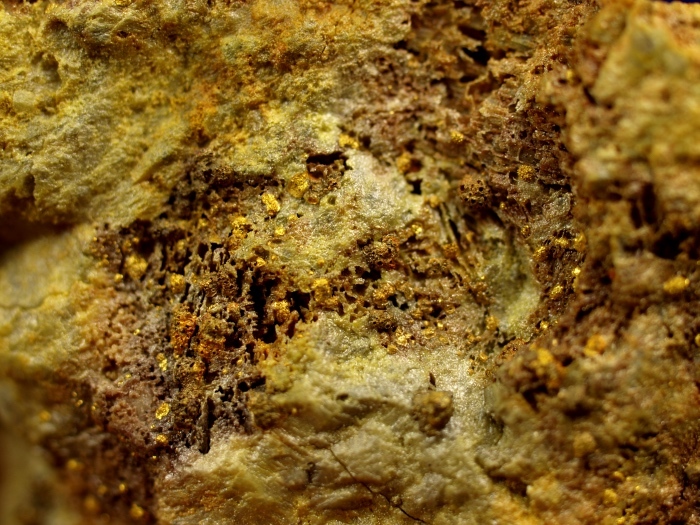 This caused most of the Telluride minerals (calaverite, sylvanite) to leave and leave behind the gold in bubbles that would "sweat" to the surface. 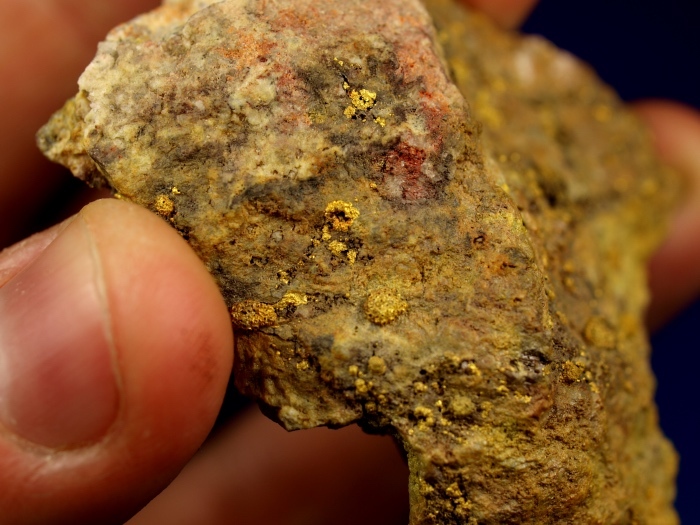 Little balls of gold are scattered all over this piece on both sides, easily several hundred are visible under a loupe. 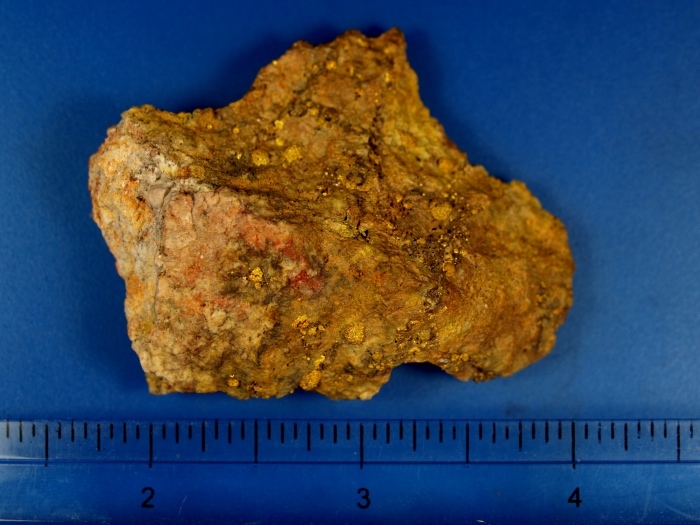 This specimen has a total weight of 39.40 grams.A nice paperweight specimen from an interesting location.